Welcome to Meet the Game Builder – CodeMonkey’s blog segment where students from all over the world share their experiences on what it’s like to build a game for the very first time on CodeMonkey. Today’s post features Yoav S., a nine-year-old student from Ben Gurion School in Ramat Gan, Israel. “Yoav is CodeMonkey,” Yoav’s mom joked as she sat down with her son for an interview at CodeMonkey’s office. During the interview, I got to meet Yoav, a 9 year old boy who is thirsty for code. He has been coding since age 7, after seeing his older brother solving CodeMonkey challenges for the Israeli Cyber Competition. 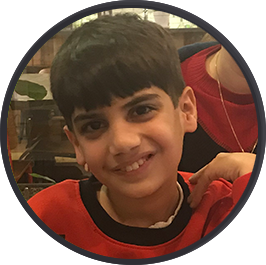 Even then, at such a young age, Yoav thought coding was exciting and felt highly motivated to learn all there is to know. “It was fun for me to solve the challenges. I was just interested in coding in general,” Yoav explained during the interview. Since that day two years ago, Yoav has gained a lot of computer programming experience, from playing CodeMonkey and Scratch to taking web-design, robotics and Java courses. In regards to game building, Yoav completed CodeMonkey’s Game Design Courses within two days and has made countless games and challenges since. “If it’s a small game, it doesn’t take me a while to build (less than a few hours), if it is a big game, then it can take me up to a few days to build one game. 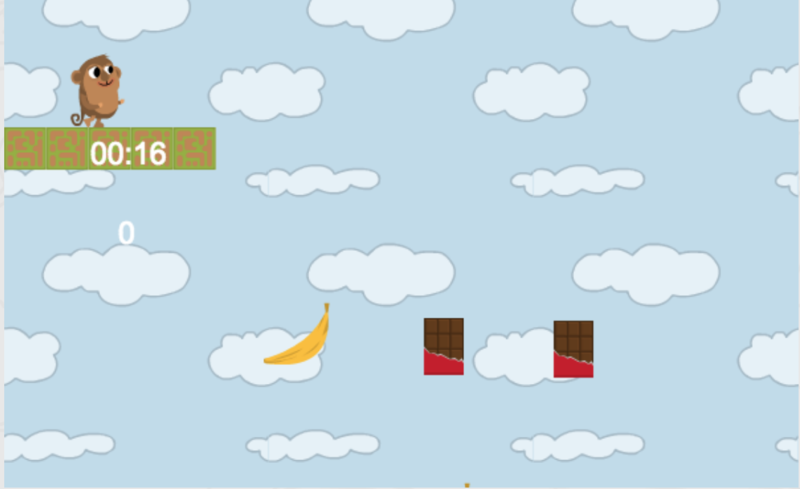 Every day after school, I log into CodeMonkey and spend a couple of hours coding and building new challenges and games. 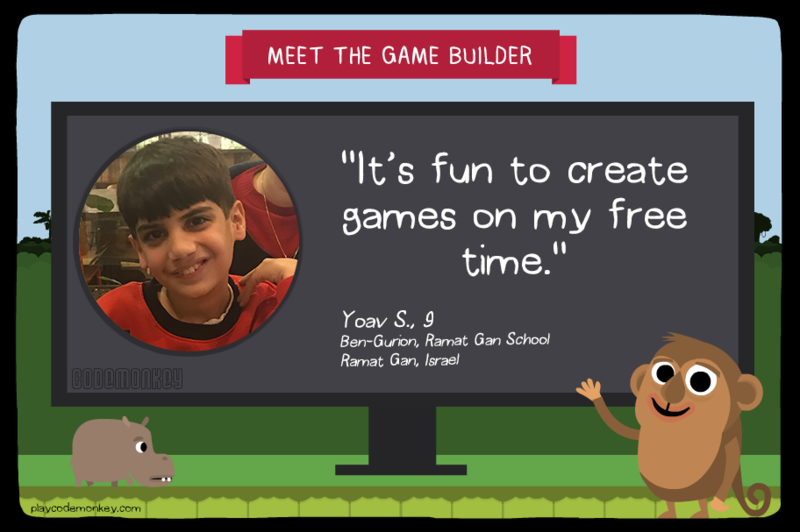 Being able to create games is fun, it’s fun to create games on my free time,” Yoav said while playing one of his games. Check out some of Yoav’s games below! Next PostNext Code Rush is Back!